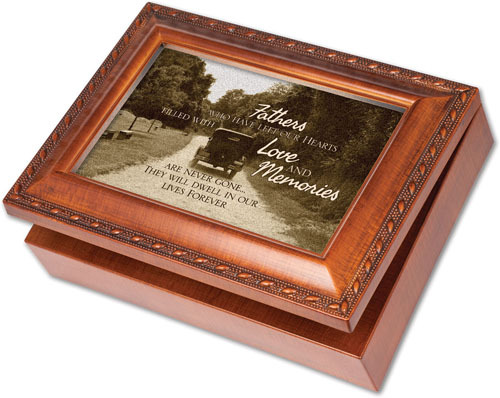 Our velvet lined memorial music box is an ideal gift of remembrance for those grieving the loss of their father. 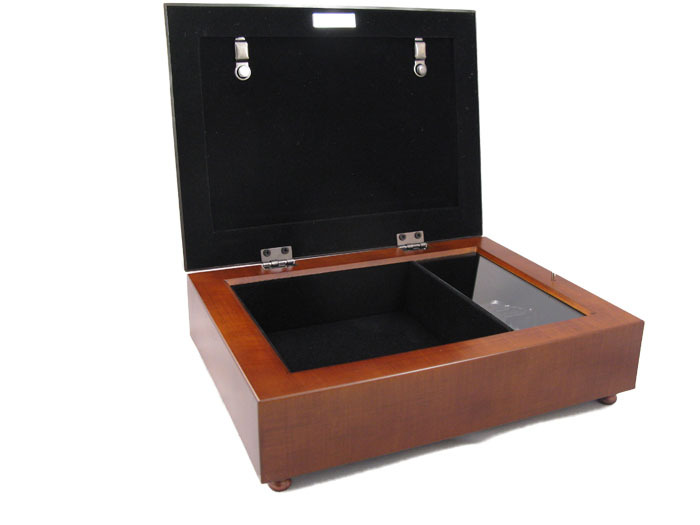 It features elegant rope trimmed detailing and an area for storing special keepsakes and mementos. Personalized items are not returnable. Please review spelling, dates, and upper case and lower case letters. 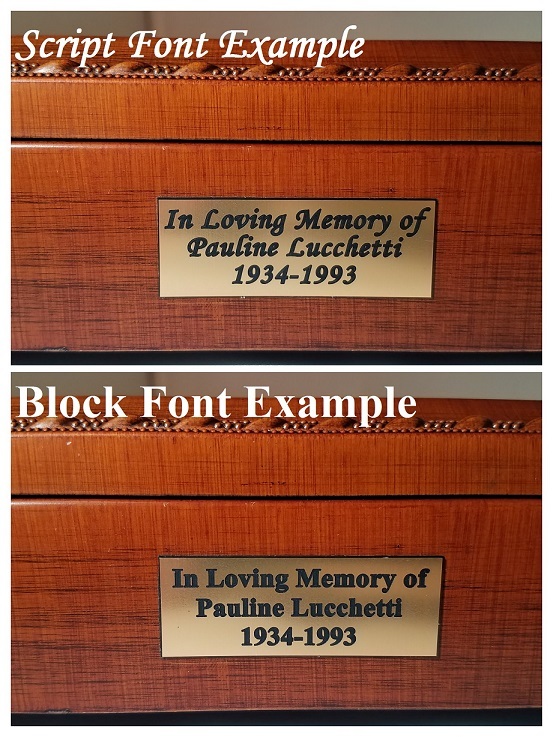 Text will be centered and engraved exactly as written..